A few thingamabobs that you'll definitely want to make a part of your world! It's time to add some Little Mermaid fun to dinner time. 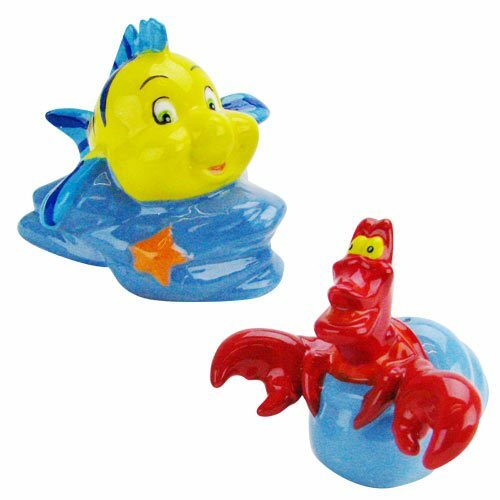 The Little Mermaid Sculpted Flounder and Sebastian Salt and Pepper Set measure approximately 3 3/4-inches wide x 1 3/4-inches long x 3 1/2-inches tall, are made of ceramic, and come packaged in a full-color gift box. Ages 13 and up.